The Oliver Primary School at 3 Broad Street in Salem, on November 26, 1940. Image courtesy of the Library of Congress, Historic American Buildings Survey Collection. 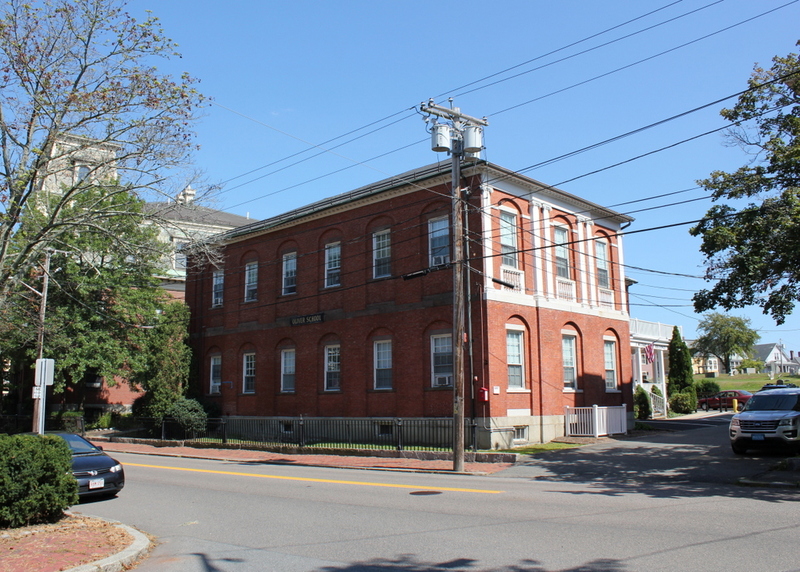 This is the oldest surviving school building in Salem, and it stands alongside two other historic school buildings that all date back to the early or mid-19th century. It was completed in 1819 at a cost of $10,000, with a Federal-style design that was the work of master builder John Milligan. Originally, it housed the Latin Grammar School and the English High School, and at the time the building consisted of just this rectangular section along Broad Street. Among its early teachers was Henry K. Oliver, the building’s future namesake, who would go on to become a prominent local and state politician, including serving as state treasurer and as mayor of both Lawrence and Salem. In 1842, the building was expanded with an addition to the south, on the side opposite of this view. Then, in the mid-1850s, it was joined by two other school buildings. Just beyond the school, on the left side of both photos, is the Salem Normal School, which was built in 1854 as the original home of the present-day Salem State University, and was later expanded in 1870-1871. Just out of view to the right, on the other side of the 1819 school building, is the Classical and High School. This was completed in 1856, replacing the older building as the city’s high school. On Broad street, between Normal and High School houses; now undergoing changes to make four graded rooms; height of story, 13 ft.; dimensions of building, 62 x 33 ft.; will accommodate 220 pupils; the lot of the land contains 14,844 ft.; value of land and building, $14,000; erected in 1818. The building was used as a school for many more years, until sometime in the early 20th century. However, both it and the former Normal School on the left have since been converted into residential use, with 14 units in the Oliver Primary School and 12 condominiums in the Normal School. The exteriors have remained well-preserved, though, and the Oliver Primary School survives as a good example of early 19th century Federal architecture. Both buildings, along with the neighboring Classical and High School, are now part of the Chestnut Historic District, which was added to the National Register of Historic Places in 1973. 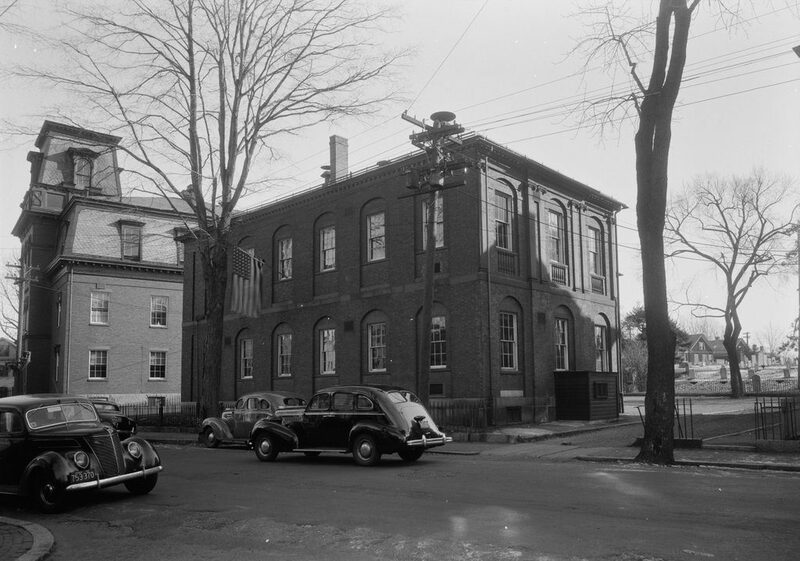 Hamilton Hall, at the corner of Chestnut and Cambridge Streets in Salem, on December 24, 1940. Image courtesy of the Library of Congress, Historic American Buildings Survey Collection. More than two centuries before he became the subject of a popular Broadway musical, Alexander Hamilton was an icon of the Federalist Party, a short-lived but highly influential political party in the formative years of the country. The Federalists were well on their way to political irrelevance at the national level by the start of the 19th century, but they would remain dominant here in New England for a couple more decades, including here in Salem. 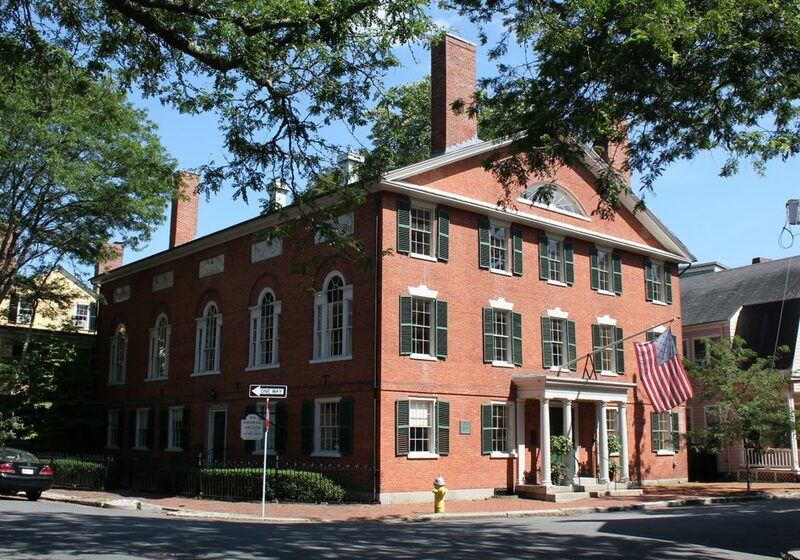 Salem was at the peak of its prosperity as a seaport at the turn of the 19th century, and many of its most important homes and public buildings date to this period, including Hamilton Hall, which was constructed between 1805 and 1807. It was built as an assembly hall for the town’s wealthy Federalist families, and was named for Alexander Hamilton, who had been killed in a duel with Vice President Aaron Burr in 1804. The building was designed by the prolific Salem architect Samuel McIntire, who also built mansions for many of the towns’s leading merchants, and it is regarded as one of the finest Federal-style public buildings in the country. It was constructed at a cost of $22,000, and it originally housed two stores on the ground floor, with a ballroom on the second floor. 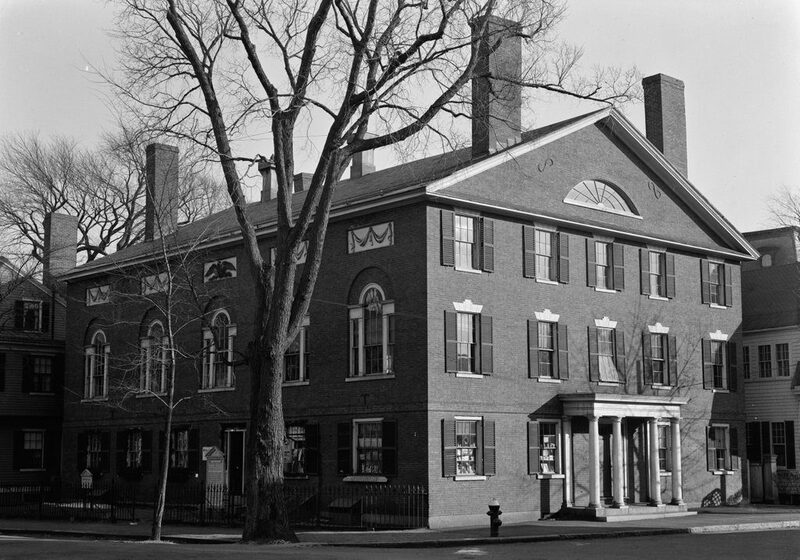 The exterior incorporates many elements of Federal-style architecture, including symmetrical facades, Palladian windows, and a pediment on the gable end of the building. The Chestnut Street side of the building, on the left side of the photo, also features rectangular panels above the windows, with an eagle carved into the central panel. Early tenants of the ground-floor storefronts included grocer John Gray on the left side, and caterer John Remond on the right. A free black immigrant from Curacao, Remond lived in an apartment here in the building, and worked as a caretaker while also providing the refreshments for events that were held here. He was regarded as Salem’s premier restauranteur throughout the first half of the 19th century, and he catered many events here, including receptions for visiting dignitaries such as the Marquis de Lafayette, who attended a dinner here during his 1824 tour of America. Over the years, Hamilton Hall was used for a wide variety of social events, including lectures, dances, and dinners. It saw some changes during this time, including the addition of the portico on the Cambridge Street side in 1845, but overall the exterior has retained its original early 19th century appearance. By the time the first photo was taken on Christmas Eve in 1940, it was recognized as historically significant, and was documented as part of the Historic American Buildings Survey. Then, in 1970, it was designated as a National Historic Landmark, and three years later it also became a contributing property in the Chestnut Street Historic District. Today, Hamilton Hall has hardly seen any changes since the first photo was taken almost 80 years ago. The eagle panel on the left side was removed for preservation in 2014, and was replaced by a replica that is seen in the second photo. Otherwise, the exterior appearance is the same, and the interior is also largely unchanged. More than two centuries after its completion, it continues to be used as a public hall for lectures, weddings, and other events. The surrounding neighborhood has also been well-preserved, and it is one of many early 19th century buildings that are still standing in this part of Salem. 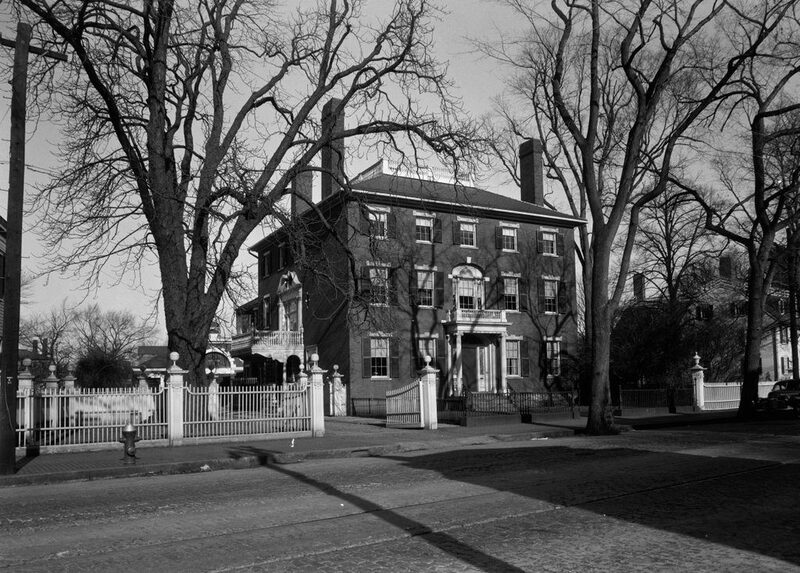 The Ropes Mansion at 318 Essex Street in Salem, on November 26, 1940. Image courtesy of the Library of Congress, Historic American Buildings Survey Collection. This house was built sometime in the late 1720s, and was originally the home of Samuel Barnard (1684-1762), a merchant who had moved to Salem from Deerfield, Massachusetts. He was a survivor of the 1704 Indian raid on Deerfield, and he lived there until after the death of his wife Mary and their infant son Samuel in 1720. He subsequently came to Salem and married his second wife Rachel, the widow of his cousin Thomas Barnard. Here, he propspered as a merchant and became a wealthy man, as demonstrated by the elegant Georgian mansion that he built within a few years of his arrival. Rachel died in 1743, and he later remarried to Elizabeth Williams, who died in 1753. Three years later he married his fourth wife, Catharine Dexter, and they lived here until his death in 1762. 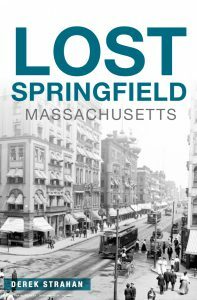 With no surviving heirs from any of his marriages, Barnard left a considerable amount of money for charitable purposes, including a hundred pounds for the relief of the poor in Salem and Deerfield, and two hundred pounds to purchase silver for the churches in Salem, Deerfield, and Greenfield. Among these gifts was a silver tankard, now in the collections of Historic Deerfield, that was made by the young Boston silversmith Paul Revere. 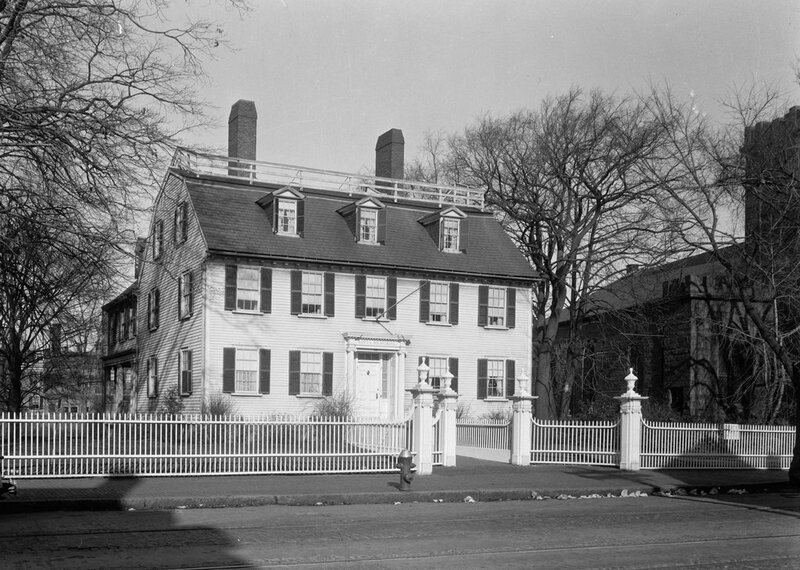 Barnard left his property in Salem, including this house, to his nephew, Joseph Barnard. In 1768, Joseph sold the house to Judge Nathaniel Ropes (1726-1774) for eight hundred pounds. At the time, the property extended beyond the house as far as the banks of the North River, since Federal Street has not yet been opened a block to the north of here. Ropes was a 1745 graduate of Harvard, and began his career as a lawyer. He represented Salem in the colonial legislature in 1760 and 1761, and served on the Governor’s Council from 1762 to 1768. He was also a judge on the Inferior Court of Common Pleas and a judge of probate, and in 1772 Governor Thomas Hutchinson appointed him as a justice on the Superior Court of Judicature, the highest court in the colony. any one of them who shall accept of, and depend upon the Pleasure of the Crown for his Support, independent of the Grants and Acts of the General Assembly, will discover to the World that he has not a due Sense of the Importance of an Impartial Administration of Justice, that he is an enemy to the Constitution, and has it in his Heart to promote the Establishment of an arbitrary Government in the Province. Dined this Day, spent the Afternoon, and drank Tea at Judge Ropes’s, with Judges Lynde, Oliver and Hutchinson, Sewal, Putnam, and Winthrop. Mrs. Ropes is a fine Woman — very pretty, and genteel. Our Judge Oliver is the best bred Gentleman of all the judges, by far. There is something in every one of the others indecent and disagreable, at Times in Company-affected Witticisms, unpolished fleers, coarse Jests, and sometimes rough, rude Attacks, but these you dont see escape Judge Oliver. This meeting here at the Ropes house included some of the most prominent jurists in the colony at the time. Along with Ropes himself, both Benjamin Lynde, Jr. and Peter Oliver were justices of the Superior Court, and the Hutchinson mentioned in the entry is likely Foster Hutchinson, who also served on the court. Lynde was the chief justice at the time, but the following year he was succeeded by Oliver, who was later forced out once the Revolution started. Coincidentally, Oliver’s replacement as chief justice was none other than John Adams himself, although he never actually sat on the court and eventually resigned after holding the position from 1775 to 1776. In the meantime, as the colony moved closer to revolution, Ropes faced problems right here at his home in Salem. Although he had refused his royal salary, he nonetheless held Loyalist views, and his position as a high-ranking judge made him a symbol of British power in the colony. According to tradition, in March 1774 an angry mob attacked the house, throwing mud, sticks, and rocks at the windows and calling for Ropes to renounce his allegiance to the Crown. However, at the time Ropes was in his bed, gravely ill with smallpox, and he died the following day, with the stress from the mob supposedly being a contributing factor in his death. Pynchon says judge Ropes was exceedingly agitated all the time of his last Sickness — about the public Affairs, in general, and those of the Superiour Court in particular — afraid his Renunciation would be attributed to Timidity — afraid to refuse to renounce — worried about the Opinion of the Bar, &c.
Nathaniel Ropes was only 47 when he died, leaving his widow Priscilla and six young children, whose ages ranged from one to 14. 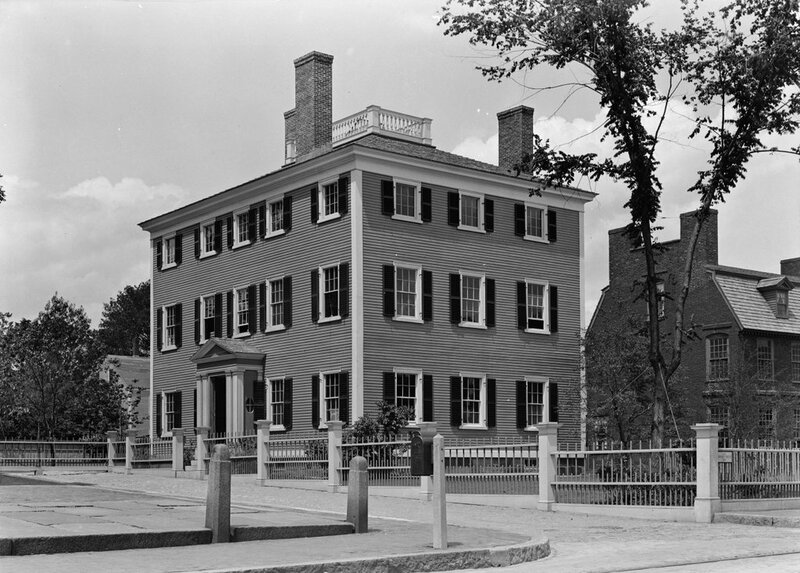 She and the children moved to nearby Danvers for some time, but after a few years their oldest son, Nathaniel Ropes III (1759-1806), returned to this house and began a merchant business here in Salem. He and his wife Sarah had three children who survived infancy, including a son, Nathaniel Ropes IV (1793-1885), and two daughters, Sarah (Sally) and Abigail. The elder Sarah died in 1801, at the age of 36, and two years later Nathaniel remarried, to Elizabeth Cleveland. However, he died in 1806, at the same age as his father’s untimely death. Nathaniel Ropes IV would later move to Cincinnati, where he lived for the rest of his life, but his sisters Sally and Abigail continued to live here in the family home. In 1817, Sally married Joseph Orne, whose father, William Orne, was a prosperous merchant. They had a daughter, Elizabeth, who was born in 1818, but Joseph died later in the year, at the age of just 22. Like so many other members of the family, Abigail Ropes also died relatively young in 1839, and Elizabeth died three years later, at the age of 24. After having outlived her husband, daughter, parents, and sister, the middle-aged Sally remained here in this house for many years. The 1850 census shows her living here alone except for two women who were presumably servants. By the 1870 census, she was 75 years old and employed a live-in nurse and a servant, and she also lived here with her nephew, 37-year-old Nathaniel Ropes V. Although born in Ohio, Nathaniel had later returned to his father’s childhood home here in Salem, and continued living in the house after Sally’s death in 1876. Nathaniel died in 1893, and the house was then acquired by his sisters. The following year, it underwent renovations. It was moved back from the street, and was modernized with conveniences such as central heat, electricity, and plumbing. A large wing was also built in the rear of the house, the fence was added to the front yard, and some of the interior was also renovated. The three sisters went on to live here for the rest of their lives. The oldest, Sarah, died in 1899, followed by Mary in 1903 and Eliza in 1907. Unmarried, and with no surviving nieces or nephews, Mary and Eliza were the last of their branch of the Ropes family, and after their deaths they left the property to the Essex Institute, as a memorial to their family. The first photo was taken a few decades later, as part of the New Deal-era Historic American Buildings Survey. 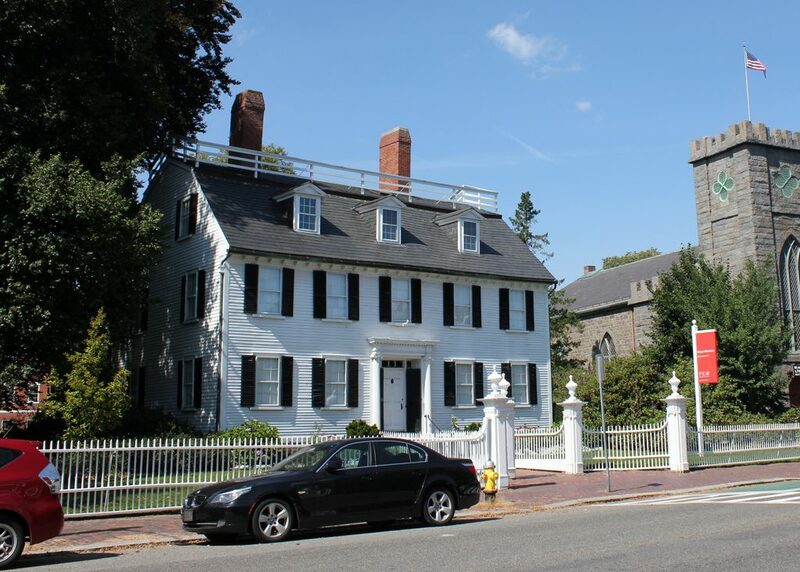 The house has not seen any significant changes since then, and it is now owned by the Peabody Essex Museum, which acquired the property following the 1992 merger between the Peabody Museum of Salem and the Essex Institute. A year later, the exterior of the house appeared in the Disney film Hocus Pocus, where it served as the home of one of the main characters. Today, the house is still open to the public as a museum, and is one of many historic properties owned by the Peabody Essex. The house at 328 Essex Street in Salem, on November 26, 1940. Image courtesy of the Library of Congress, Historic American Buildings Survey Collection. 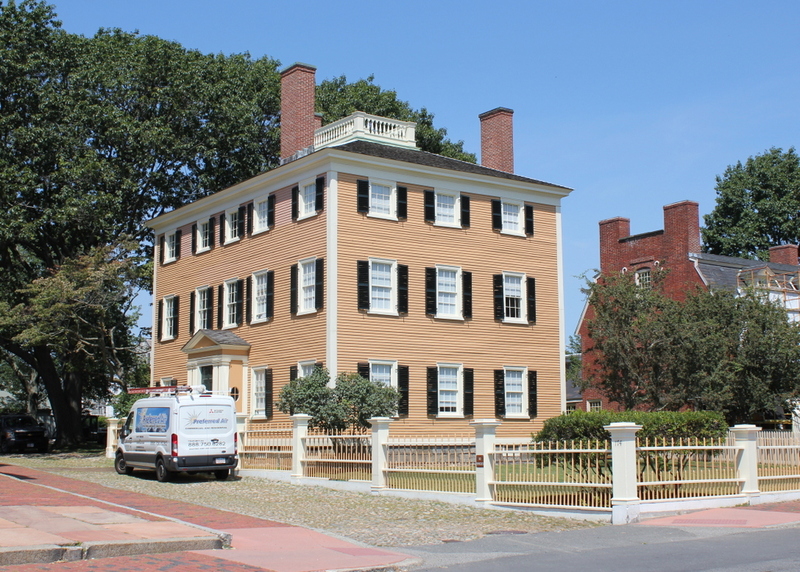 This elegant Federal-style house was built sometime around 1818 to 1821, and was among the many fine mansions that were built in this neighborhood of Salem during the early 19th century, at the height of Salem’s prominence as a seaport. The original owner was William Pickman (1774-1857), a merchant whose father, Benjamin Pickman (1740-1819) had been a wealthy merchant and a Loyalist in the years leading up to the American Revolution. Benjamin had left for England at the start of the war, just a year after William was born, but he would later return to Salem after the war ended. Benjamin Pickman’s allegiance evidently did not hurt his family, as William’s brother, Benjamin Pickman, Jr. (1763-1843), would go on to become a prominent politician, including serving a term in Congress from 1809 to 1811. William, in the meantime, was a merchant in Boston for some time, but later retired to Salem, perhaps around the same time that he built this house. He never married, and lived here in this house with his sister, Love Rawlins Pickman (1786-1863), until his death in 1857. By the mid-1860s, the house was owned by George B. Loring (1817-1891), whose wife, Mary Toppan Pickman (1816-1878) was the niece of William Pickman. Loring was originally a physician, and an 1842 graduate of Harvard Medical School, but he later left the medical practice and entered politics. He went on to serve in the Massachusetts House of Representatives from 1866 to 1868, the Massachusetts Senate from 1873 to 1877, and during this time he was also the chairman of the Massachusetts Republican Committee from 1869 to 1876.From there, he served two terms in Congress, from 1877 to 1881, and after losing re-election he was appointed as U. S. Commissioner of Agriculture, serving under Presidents Garfield and Arthur. His final political office was as Minister to Portugal, a position that he held from 1889 until his resignation in 1890, a year before his death. George and Mary Loring had two daughters, Mary and Sally, although Mary died in 1864 at the age of six. The 1870 census shows the family living here along with a coachman and three servants, and it lists George’s real estate value at $69,900, and his personal estate at $20,000. This was a considerable amount of money for the time, equivalent to nearly $1.8 million today. Mary died eight years later, but George remarried in 1880 to Anna Hildreth, a widow who, at about 35 years old, was nearly 30 years younger than him. The Lorings appears to have moved out of this house during the early 1880s, and by the end of the decade it was owned by Jennie Emmerton (1837-1912), the widow of George R. Emmerton (1836-1888), a wealthy merchant and banker. She was also the daughter of prominent merchant and philanthropist John Bertram, and at her death in 1912 she was reportedly the wealthiest woman in Salem. This house was substantially remodeled around the time of her ownership, with the addition of Colonial Revival-style features on the both the interior and exterior. These included the the front entrance porch, the Palladian window above it, the porte-cochere on the left side of the house, and the carriage house beyond it. The renovations were the work of architect Arthur Little, and resulted in a house that was nearly identical to the nearby Dodge-Shreve House at 29 Chestnut Street. Jennie Emmerton lived here with her unmarried daughter, Caroline O. Emmerton (1866-1942), and Caroline inherited the house after Jennie’s death. Like the other members of her family, Caroline was involved in philanthropy, contributing to a number of charitable organizations in the city. However, perhaps her most visible work was on the House of the Seven Gables, which she purchased in 1908 and restored to its original 18th century exterior appearance. 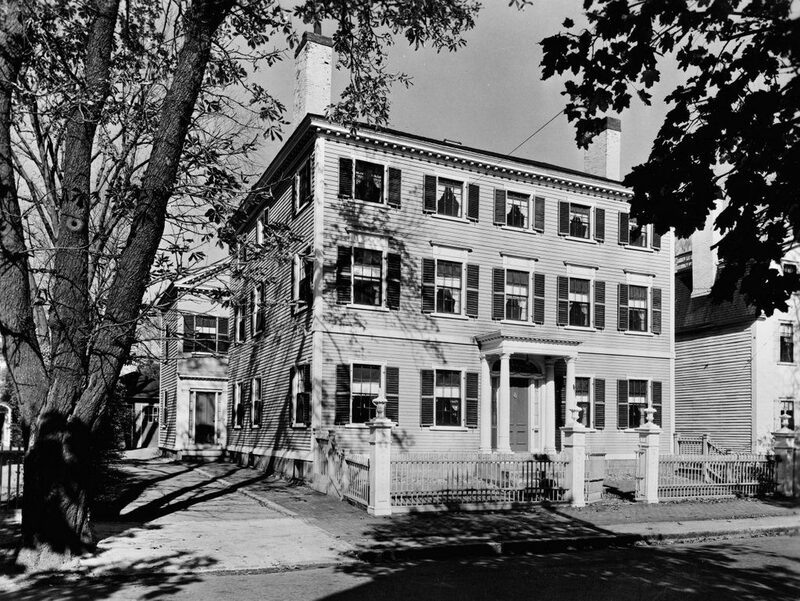 She later acquired several other historic houses in Salem that were in danger of demolition, and had them moved to the grounds of the House of the Seven Gables for preservation. Caroline Emmerton was still living here when the first photo was taken in 1940, but she died two years later. The house was subsequently divided into apartments, and today the interior consists of five units. However, the exterior has hardly changed during this time, with few noticeable changes from this angle except for the missing balustrade atop the roof. Along with the other homes in the surrounding neighborhood, it is now part of the Chestnut Street Historic District, which was added to the National Register of Historic Places in 1973. The house at 4 Custom House Court, just off Derby Street in Salem, on June 27, 1940. Image courtesy of the Library of Congress, Historic American Buildings Survey Collection. This house was originally intended as the home of Elias Hasket Derby, a prominent merchant who was among the wealthiest men in the country during the late 18th century. He had previously lived in the brick house on the right side of the photo, which his father Richard Derby had built for him in the early 1760s, but he had moved out of the house by the late 1770s. In 1780, he began construction on this large, wood-frame house, hiring noted Salem architect Samuel McIntire to design it. On this Land in 1780 Mr. Derby raised a Great House which he never finished. The third story was as high as the first & higher than the second. The pediment was lost in the roof & the Cupola which was finished was without any good effect. The back part was finished but the front only covered with boards & was very rotten. It was sold this day to the Carpenters for 600 Dollars. A more uncomely mass was never piled up for a building. The Lot under it sold for above 2,000 D. It has now stood 20 years as a monument of folly. The “monument of folly” was ultimately sold to shipbuilder Benjamin Hawkes in 1801, who had the house completed later that year. The original design was altered somewhat, including the removal of the cupola that Reverend Bentley had described, and the interior of the massive house was converted into a two-family home. It seems unclear exactly how much of McIntire’s original design was retained for the completed house, and whether the architect was involved in its completion, but either way the house became a good example of the Federal style that was common in Salem around the turn of the 19th century. The house is located directly across the street from Derby Wharf, the longest wharf in the city. 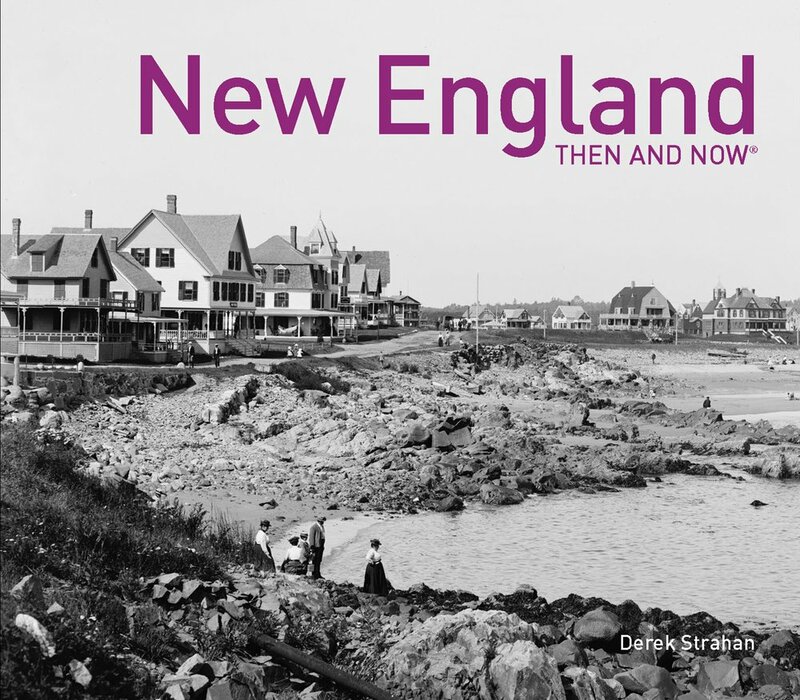 Because of this, it was right at the center of Salem’s busy port, where fleets of early 19th century sailing vessels arrived with valuable cargoes from around the world. Benjamin Hawkes’s shipyard was just a short walk from his house, at the site of present-day Kosciusko Street, and in 1819 the Salem Custom House was built directly adjacent to the house, just out of view on the left side of this scene. 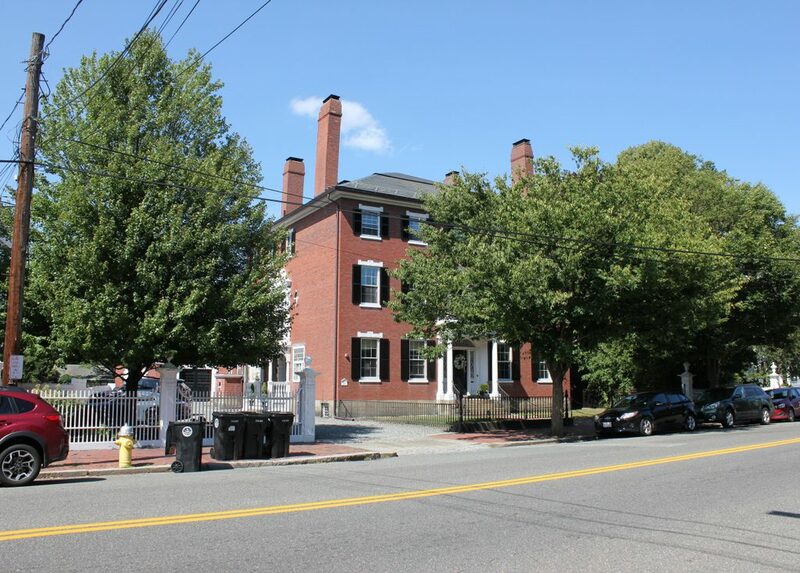 Benjamin Hawkes lived here during the peak of Salem’s prosperity as a seaport, but by the middle of the 19th century the city’s shipping industry was in decline. However, many of the elegant mansions from this golden age are still standing today, including the Benjamin Hawkes House. 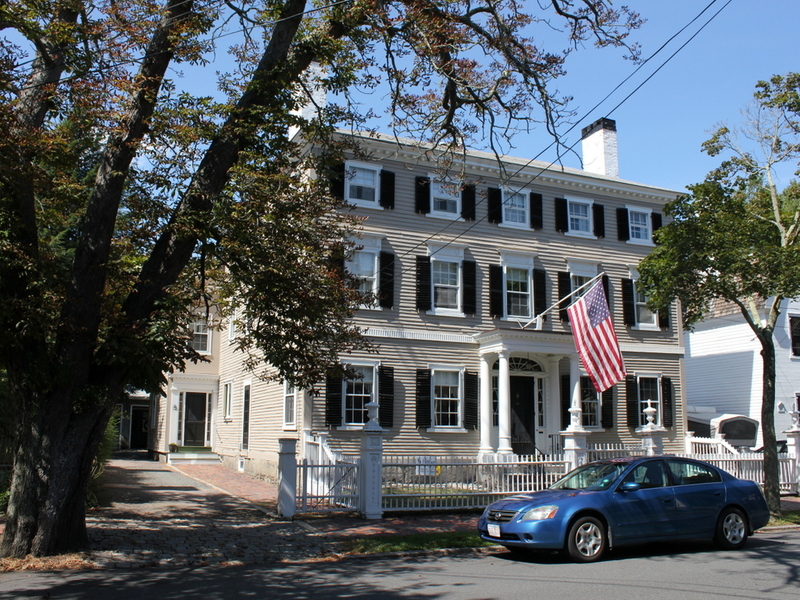 After years of being used as a duplex, it was acquired by the National Park Service in the late 1930s, becoming part of the Salem Maritime National Historic Site. Established in 1938, this was the first National Historic Site in the country, and the first photo shows the house as it appeared just two years later. Very little has changed in this scene since then, and the house is now used as administrative offices for the park.